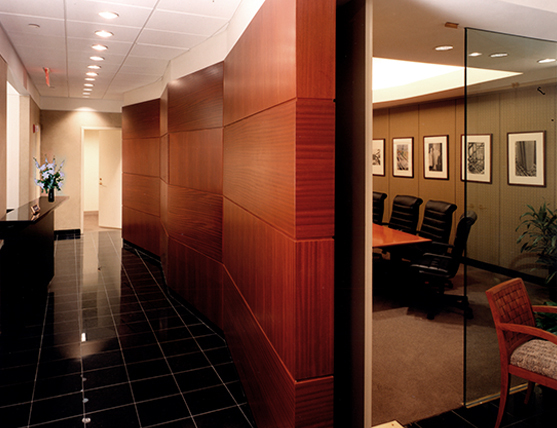 The client desired an accessible image for the management office of a midtown tower. The glass-fronted conference room and reception area face a retail concourse. Offices and the open-plan area are hidden from view.